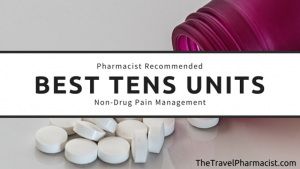 Best Tens Units for Fast Pain Relief - A Non-Drug Option for Pain! Are TENS Units Something New? Are TENS Units FDA Approved? What Features Should My TENS Unit Have? Can I take my TENS Unit on a plane? How do I target a particular area of pain with a TENS machine? Should I Buy Extra TENS Unit Supplies? As a pharmacist who travels quite a bit, I’ve seen how effective these TENS Units can be first-hand. I’ll give you a list of the Best TENS Units to use as a Buying Guide – see below. I’m sure you have lots of questions and I’ll do my best to answer them, too. or other conditions causing aching discomfort, a TENS Unit just might be the answer you’ve been looking for – without addicting medications that might make you feel groggy all the time. What is TENS Therapy and Will It Help My Pain? TENS Therapy is the application of electrical current through electrodes placed on the skin for pain control. TENS therapy can be applied directly to the skin using a TENS unit and small gel-coated pads or electrodes. You control the amount of electrical stimulation of the TENS unit by varying frequencies, from low (< 10 Hz) to high (> 50 Hz). TENS therapy is thought to work by alteration of the body’s ability to receive or perceive pain signals rather than by having a direct effect on the muscle contractions. TENS UNIT stimulation may also increase natural endorphins, “the body’s feel-good chemical”, as a natural pain reliever. More endorphins are always a good thing! Directly from the study cited in Current Rheumatology Reports, “Specifically, we show that low-frequency TENS activates μ-opioid receptors in the spinal cord and the brainstem, whereas high-frequency TENS activates δ-opioid receptors in the spinal cord and the brainstem.” TENS therapy activates the same receptors in the body as powerful opioid drugs. A 2016 study on lower back pain sufferers showed fixed-site TENS Units to be a safe and effective option for treating chronic low back and lower extremity pain. These results motivate the development of wearable analgesic devices. For fibromyalgia sufferers, the news is very good. A recent study from the Carver College of Medicine has shown TENS Unit stimulation may significantly increase quality of life in terms of pain, fatigue and function for those with primary fibromyalgia. 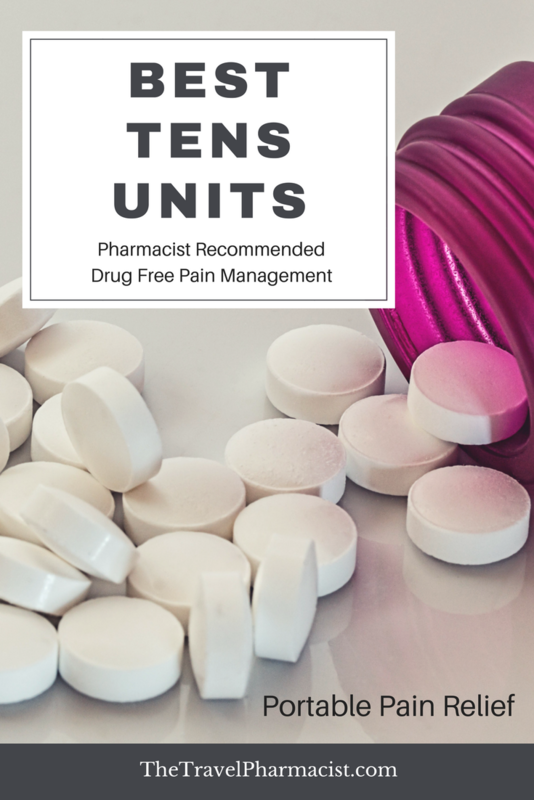 These TENS units were picked based on their ease of use, affordability, recommendations from other health professionals, portability and extra features. Those with many positive reviews from other users were given a heavier weight. No. TENS units have been used by doctors and physical therapists for over 40 years with great success. Now, instead of having to go into the doctor’s office for pain relief therapy, today there are portable units for personal use with the same pain relieving power output. Use the Best TENS Units Buying Guide above to find a model that can work for you at home or for travel. Because TENS units and EMS (electronic muscle stimulation) units are considered Medical Devices by the FDA, the companies who manufacture them must show that the device is safe and effective when used as directed. By purchasing an “FDA Approved” device, you’re ensuring the FDA has determined the product is properly designed, manufactured, and labeled to provide reasonable assurance that they are safe and effective for over-the-counter (OTC) use. There are so many TENS units on the market, it can be difficult to decide which one is the best. You can the Best TENS Units Buying Guide above to narrow down your choices. Features to look for include dual or quad channels (to stimulate more than one area at a time), rechargeable batteries (or wireless capability) and programmable sessions (because once you find the perfect pain relief level, you’ll want to use it again and again!). 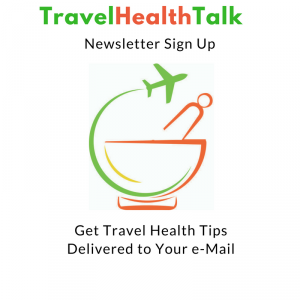 If you travel with your TENS unit, size and weight might be more important than if you’re only using it at home. Some units come with a belt clip that make it completely portable, even while out walking or on a long plane trip. For specific areas of the body that hurt – for example, pain of plantar fasciitis in the feet and ankles – electrode TENS sandals provide a unique and effective way to target the pain. 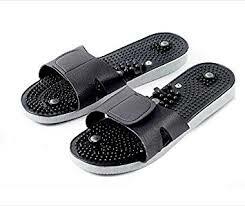 I use these TENS sandals when plantar fasciitis tries to slow me down and can highly recommend them! 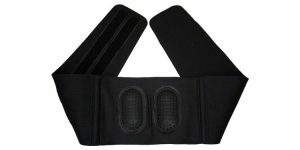 For lower back pain, a TENS back belt can be a much more convenient and powerful way to cover a larger area than with electrode TENS pads alone. With the electrodes enclosed within the back belt, you simply wrap it around the sore area and connect it to your TENS unit. These are also portable and easy to bring along when traveling! To increase the conductivity of the electrode pads, some people find it necessary to use a drop or two of TENS conductivity gel applied to the pads. TENS gel also increases the life of the pads so they don’t have to be replaced as often. The electrode pads that come with each TENS unit are usually coated with a special sticky, gel-like substance that helps them adhere to the body, but can still be reused time and time again. After a while, the stickiness of the TENS pads will go away and you’ll have to replace the pads. You can buy TENS pads in large sizes for areas like the back or shoulder and smaller pads for the wrist or elbows. If there are other questions you have about this “Best TENS Units” post, please don’t hesitate to ask here. And as with all medical conditions discussed on the Internet, check first with your doctor before using any alternative treatments. We are a participant in the Amazon Services LLC Associates Program, an affiliate advertising program designed to provide a means for us to earn fees by linking to Amazon.com and affiliated sites. 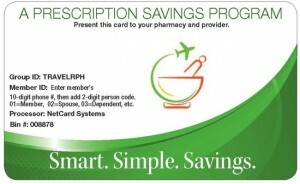 This does not add any extra cost to you and helps us keep The Travel Pharmacist website running. Take care and please let me know if this works well for your pain relief! I will definitely ask my doctor about this for my plantar fasciitis. Thanks for sharing it here with us! Thx for this very informative post about TENS units. I have a couple of friends who find them very helpful in pain management. I never heard about TENS unit to manage nerve-related pains. 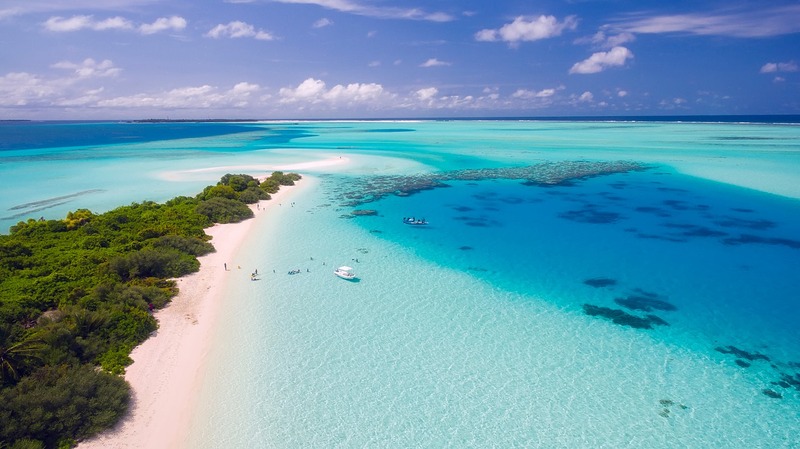 It sounds very interesting as it only uses electrical stimuation that apparently works effectively and most importantly is a non-drug treatment which is awesome! Will bookmark this page! Thanks for sharing it. I hadn’t heard about them, either – except as something doctor’s used in their offices. So when I actually tried one and it worked, I was shocked (happily) 😉 And now they’re so affordable and small, they can be taken anywhere! I am very excited about these! Thanks for coming by! You given me an education about TENS units. Never heard of them before, but I know a couple of people who will probably want to try one of the TENS products for their ailments. Appreciate the tips. Hi Cathy! Being small, affordable and effective makes them even more attractive. I’m giving a few to family members and fellow travelers as gifts! Thanks for stopping by! I tend to be pretty skeptical about things that seem too good to be true, but these are so affordable that I’m going to get one and try it out the next time my lower back pain shows up! And small enough to travel would be an added bonus! I have used TENS units for my neck and shoulder pain and found that it relieved the pain. Definitely better then using NSAIDs. Hi John! I’m so very glad TENS have worked for you! I have had lots of success with them as well, especially for neck, shoulder and back pain. Thanks for stopping by! Osteopathic care has been used to treat a number of conditions not connected to the musculoskeletal systems. This includes hypertension, dizziness/vertigo and chronic pelvic pain. My first experience with TENS machine is during my PT. They offer me one and didn’t try it. Now with your best TENS unit, I am thinking of the best option to get.